In difficult times we need reasons to be cheerful, so here are some rags to be glad about. SF Tribal, a consortium of art dealers from the Bay Area, has posted a slew of new images on their group site. The ratio of textiles to objects is high. Why? 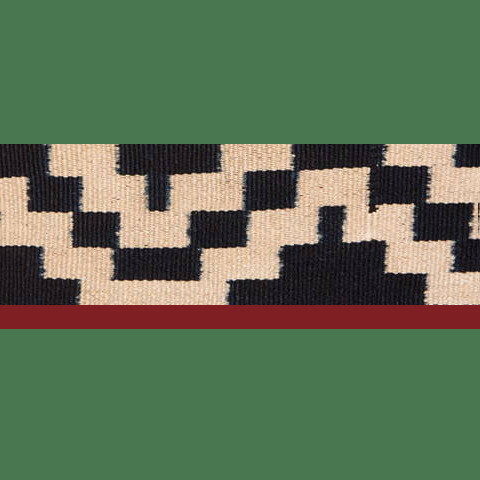 SF is a textilian town, and its astute collectors were early adopters of the concept of tribal textiles as Art with a capital “A”. Why do they think that way about textiles? See for yourself. I think it’s worth mentioning that by exercising an astute eye, you can get more art for the dollar with tribal textiles than you can with most other art forms. Hmm. Images, from top: Mapuche Poncho offered by Vicki Shiba; detail of a fine Rothko-esque Sumatran textile offered by Zena Kruzick; Sudanese tunic offered by Andres Moraga. Click images to access URL on SF Tribal.